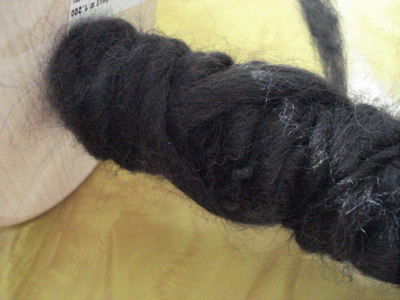 I ordered a drop spindle and some fiber from Hello Yarn, and it arrived yesterday. 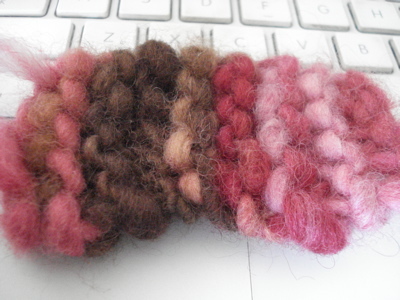 Last night, after a super fun knitting night, I decided to give it a try. I still have much to learn — it feels like there are more tasks than I have hands — but I am excited about this. 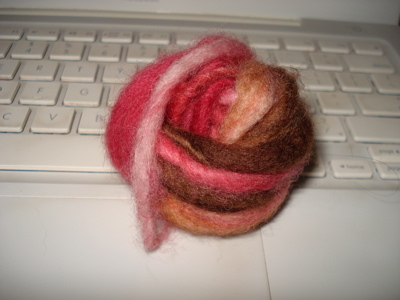 I think I need to separate the fibers even more in order to get a thinner yarn. 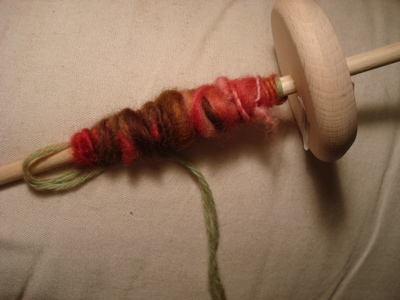 Anyone have suggestions for websites or other resources with pictures of top whorl drop spindles in use? 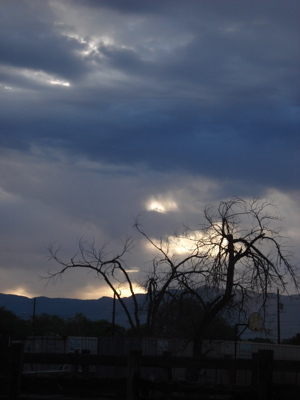 I’m interested in learning more about speed of spinning the spindle, how much twist is a good idea, etc. Already late for work, but wanted to share that with you!